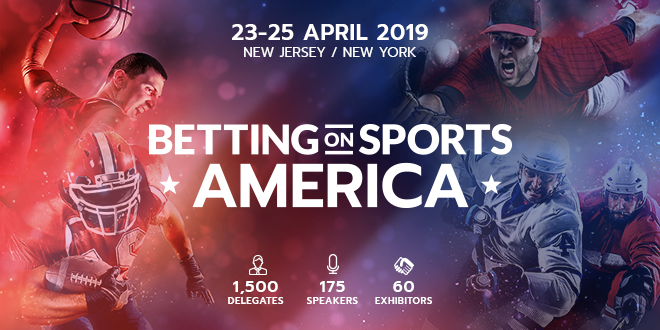 Teams from all of the major professional sports leagues across the US are flocking to Betting on Sports America, the biggest dedicated sports betting trade show in the country taking place at the Meadowlands Exposition Center in New Jersey from 23-25 April. Representatives from teams in the NFL, NBA, MLB, NHL, and MLS, as well as from international leagues such as La Liga will be attending Betting on Sports America, including the Los Angeles Rams, New York Jets, Miami Dolphins, New York Knicks, Charlotte Hornets, Philadelphia 76-ers, Cleveland Cavaliers, New Jersey Devils, Texas Rangers, Philadelphia Union and New York Red Bulls. The agenda will touch on a number of issues interesting to sports teams, such as data, integrity and sponsorship. Among the 175 speakers across the two days are: Keith Wachtel, Chief Revenue Officer and Executive Vice President at NHL, Scott Kaufman-Ross, Head of Fantasy & Gaming at NBA, Andy Levinson, SVP – Tournament Administration at PGA Tour, and Dennis Drazin, CEO at Monmouth Park racetrack, Joe Januszewski, CRO at Texas Rangers, Shelly Cayette, VP, Global Partnerships at Cleveland Cavaliers and Bill Ordower, EVP and General Counsel, Major League Soccer. The agenda also features three members of US sports royalty in the shape of MLB superstar Ryan Howard and Philadelphia Eagles legend Brian Westbrook, who will be discussing investment in the sports industry, and NFL record holder and Hall of Famer Morten Andersen, who will talk about the NFL’s ability to reach audiences. Jaap Kalma, Business Development Director at conference organiser SBC (Sports Betting Community), explained: “The response we’ve had to Betting on Sports America from the sports world has been fantastic. Using our expertise in sports sponsorship elsewhere in the world where sports betting is more established, we have been able to curate a dedicated track with seven sessions that addresses various aspects of this enormous opportunity and potential issues now that sports betting is ready to explode in the US. Following the PASPA decision, the number of states now regulating sports betting is expanding at an incredible pace and opportunities are opening across the country. Sports leagues and sports teams obviously have an intrinsically close relationship with the betting industry.The betting & gaming category brings enormous revenue to sports in Europe, through sponsorship or other commercial partnerships ranging from data provision to hospitality sales. Therefore it’s no surprise US sports teams and leagues are closely following market developments and several pioneering deals have already been announced. Betting partnerships, however, also bring unique concerns not present in other l sponsorship categories. Legal and reputation issues can make partnerships difficult, and need to be discussed and understood between the sports and betting industries in order to best capitalise on this opportunity. . Betting on Sports America is a unique event that offers just that with more than 1,500 executives from the worlds of sports betting, sports, casinos, tribes, regulators and lotteries coming together to look ahead into new US market. The event will present 175 expert speakers across 40 sessions and 3 conference rooms to cover the most relevant topics from the emerging US sports betting market. The 61,000 sq ft large exhibition floor will bring you 60 exhibitors, world class hospitality, and the very best networking and business opportunities. Each evening there will be complimentary dinner and drinks networking receptions at venues such as Jay Z’s 40/40 club, Meadowlands Racetrack rooftop bar, and Sky Room rooftop bar in Manhattan. For further information about the event, check out the Betting on Sports America website.